Raising wild orphans in such a way that they are releasable when mature. Providing care for unwanted parrots, macaws and cockatoos. Wet Mountain Wildlife Rehabilitation Inc. is a nonprofit organization. We receive no government funding. Our officers are our only members and receive no compensation. We operate on donations from the private sector. We have been donating our services to wildlife for the past 32 years. We accept all species of wildlife that are native to Colorado but in recent years our focus has been on large mammals such as bears, pronghorn, and deer. Wet Mountain Wildlife is one of only three facilities in Colorado that deal with these large animals. Animals receive care from veterinarians if necessary, the best obtainable nutrition, and a quiet environment until they are healthy and mature enough for release. Because excessive contact with people can lead to imprinting, the facility is not open to the public and human contact with the animals is kept to a minimum. 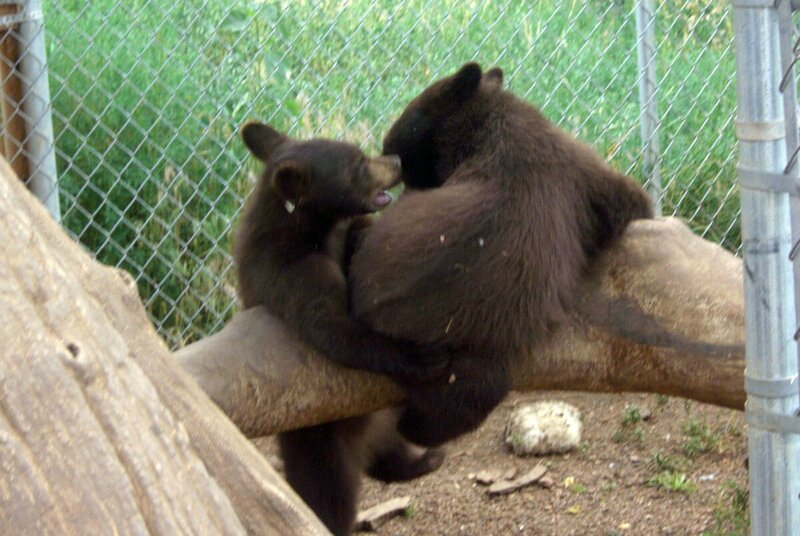 This year alone we have taken in 12 orphan bear cubs, 14 fawns, 3 raccoons and 2 badgers.